Motorola is holding an event on Sept. 4 in Chicago where we expect the company to unveil, at the very least, the Moto X+1 and the pricing/availability of the Moto 360 smartwatch. It’s also possible the company will discuss the follow-up to the Moto G, which launched as a lower-cost version of the Moto X last year. 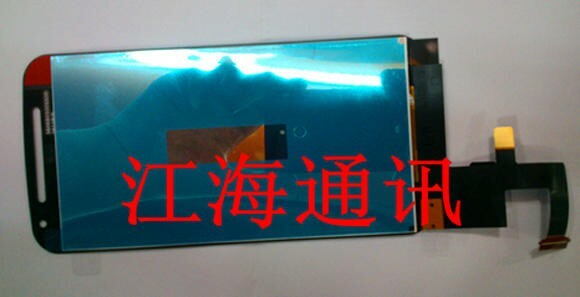 A new leak on Monday shows off some of the alleged “Moto G2” parts, which are also available for sale from parts suppliers in Asia. 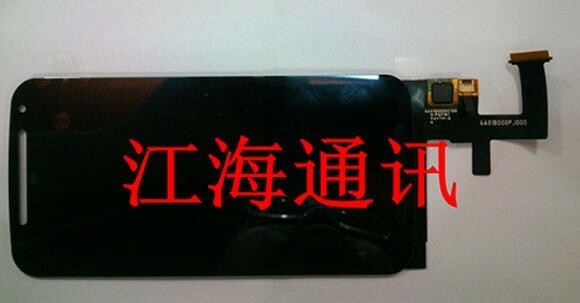 A retailer named Taobao recently published two images of the Moto G2 display, which allegedly measures 5-inches across. That’s a nice bump from the 4.5-inch screen on the original Moto G, and we wonder if Motorola is going to increase the resolution from 720p to 1080p as well. GimmickMag, which tipped us off on the Taobao sale, said that the Moto G2 will likely include an 8-megapixel camera and much of the same hardware as last year. We actually expect to see some bump in the processor speed and possibly storage options, however. If you’re so compelled, you can pick up the Moto G2 display for about $57 from Taobao now. Otherwise, we’ll be bringing you all of the latest news from Motorola on Sept. 4.